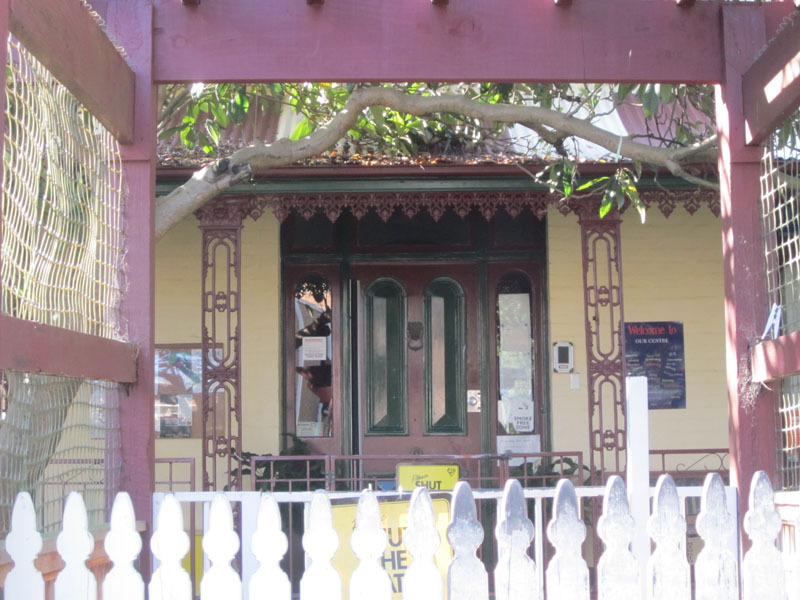 One of the earliest houses in the street, Laurel Tree House became Sydney University’s first childcare centre, and is operated by the Kindergarten Union. The founder of the Kindergarten Union, Maybanke Anderson, lived nearby with her husband, a Sydney University academic. Maybanke Anderson was involved in a wide range of reformist issues, especially relating to women. She was a member of the Womanhood Suffrage League, the International Women’s Union, and edited and published Woman’s Voice, a fortnightly journal covering social issues. She established the Playgrounds’ Association and the Kindergarten Union, providing free pre-school care for poor families within walking distance of their homes. One of the KU’s first kindergartens was at Wentworth Park. A suffragette, Maybanke married Professor (later Sir) Francis Anderson, first professor of philosophy at the University of Sydney, and lived at Apricot 27 Arundel Street, now demolished. Francis Anderson, born and educated in Scotland, was Sydney University’s first Challis Professor of Logic and Mental Philosophy. Critical of the pupil-teacher system that prevailed in NSW at the time, and of the rigidity of curriculum and teaching methods, he adopted the slogan “Train the Teacher, Trust the Teacher and Pay the Teacher” and helped develop what became known in NSW as the New Syllabus.